A passion for active engagement, while making music with technology, is at the heart of my teaching strategies and is one strength to which students respond favourably. My performance career as a stage musician includes performing with sensor-based devices and requires a thoughtful approach to physical gestures and expanded movements, providing concrete examples of the effort and energy I value in an active engagement with musical materials. 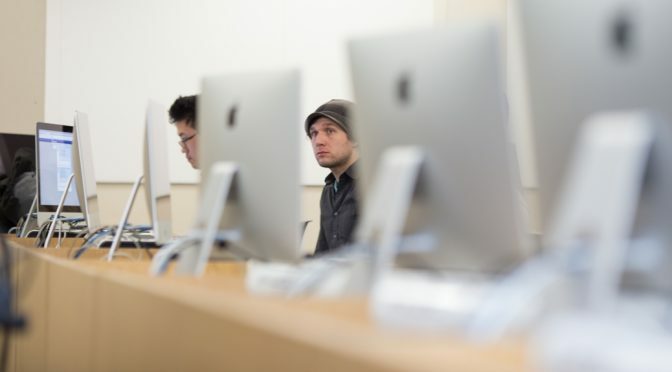 Communicating the significance of active music-making in the technology-intensive classroom requires innovative strategies in an effort to draw students away from visual barriers (e.g., large computer screens). For example, one of the strengths of my teaching is the ability to identify links between computer-centred activities and an engagement with the physical sound world, which requires multimodal sensory interactions far beyond what is needed to manipulate a computer keyboard. I use both traditional interactive teaching strategies (e.g., allowing students to offer creative solutions to class exercises and assignments by engaging with each other orally ­ not mediated through a computer) and techniques only made possible via technology (e.g., requiring students to manipulate a complex and holistic system of control parameters with sensors in an effort to create tangible sound results). The general themes of the subject-matter I teach include: acoustic and electroacoustic music composition; contemporary music theory; music technology, especially with respect to performing with gestural controllers; interactive computer music; computer-assisted composition; applied research in the digital audio arts; music industry and business.